The oceans of Earth remain largely unexplored, but not for lack of technological innovation — and certainly not for lack of interest. Biologists, geologists, physicists, chemists, meteorologists — nearly every conceivable scientific field benefits from ocean research. But marine science, and deep sea science especially, is dying, due in large part to ever-dwindling financial resources. In NOAA's FY2013 budget, the Office of Ocean Exploration suffered a 16.5% percent cut, while education programs lost over half their funding. James Cameron says today&apos;s ocean exploration is “piss poor.” He&apos;s right. Over at Deep Sea News, marine biologists Craig McClain and Al Dove observe that the U.S. has been veering toward a course where ocean exploration (and science in general) are becoming less and less of a priority to our society. This is a sentiment shared by the vast majority of Americans. "How did we get here?" ask Dove and McClain. And, more critically, how do we fix it? Dove and McClain address both these questions in their thoroughly researched, thoroughly interesting three-part post — and the solution they offer up for saving ocean science is a compelling one: ocean science needs its own independent agency with a dedicated mission. An Ocean NASA, if you will. We've included an excerpt of the post below, but you'll want to read the rest of it in its entirety over at Deep Sea News. In general, science in the U.S. is poorly funded; while the total number of dollars spent here is large, we only rank 6th in world in the proportion of gross domestic product invested into research. The outlook for ocean science is even bleaker. In many cases, funding of marine science and exploration, especially for the deep sea, are at historical lows. In others, funding remains stagnant, despite rising costs of equipment and personnel. The Joint Ocean Commission Initiative, a committee comprised of leading ocean scientists, policy makers, and former U.S. secretaries and congressmen, gave the grade of D- to funding of ocean science in the U.S. Recently the Obama Administration proposed to cut the National Undersea Research Program (NURP) within NOAA, the National Oceanic and Atmospheric Administration, a move supported by the Senate. In NOAA's own words, "NOAA determined that NURP was a lower-priority function within its portfolio of research activities." Yet, NURP is one of the main suppliers of funding and equipment for ocean exploration, including both submersibles at the Hawaiian Underwater Research Laboratory and the underwater habitat Aquarius. This cut has come despite an overall request for a 3.1% increase in funding for NOAA. Cutting NURP saves a meager $4,000,000 or 1/10 of NOAA's budget and 1,675 times less than we spend on the Afghan war in just one month. We are at a time for renewed commitment to ocean exploration and science. As stated by the Joint Ocean Commission, "Ocean programs continue to be chronically underfunded, highlighting the need for a dedicated ocean investment fund." Captain John Walsh, one of three men to visit the deepest part of the ocean, recently stated it best: "What we need is an Ocean NASA." 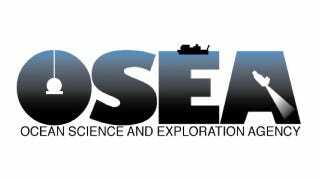 There is much to be gained from creating NASA-style Ocean Science and Exploration Agency (OSEA). Every dollar we commit to science returns $2.21 in goods and services. Meeting the scientific, technological, logistical, and administrative demands of scientific exploration creates jobs and requires substantial personnel beyond just scientists and engineers. The materials purchased for this cause support even further employment. As with NASA, meeting these scientific and engineering challenges will disseminate ideas, knowledge, applications, and technology to rest of society. This knowledge gained from basic research will form the backbone for applied research and economic gain later. And much like NASA has, OSEA will inspire the next generation of scientist and engineers, instilling in the young a renewed appreciation for the oceans of which we are all stewards: our oceans. It will provide a positive focus for society in a time where hope is often lacking and faith in science is low. OSEA will be the positive message that renews interest in our oceans and their conservation. Read the rest over at Deep Sea News.